For the last five days Elizabeth, 44, who lives in an isolated village in South Sudan, has been living off wild berries and blood tapped from a neighbour’s cow because she has no food to eat. The mother of eight risks being beaten or raped by gangs when she scavenges for bitter fleshless fruit in the bleak and dry bush around Gumuruk to feed her children. She faces the same dangers during the punishing eight hour walk to the nearest fresh water pump. 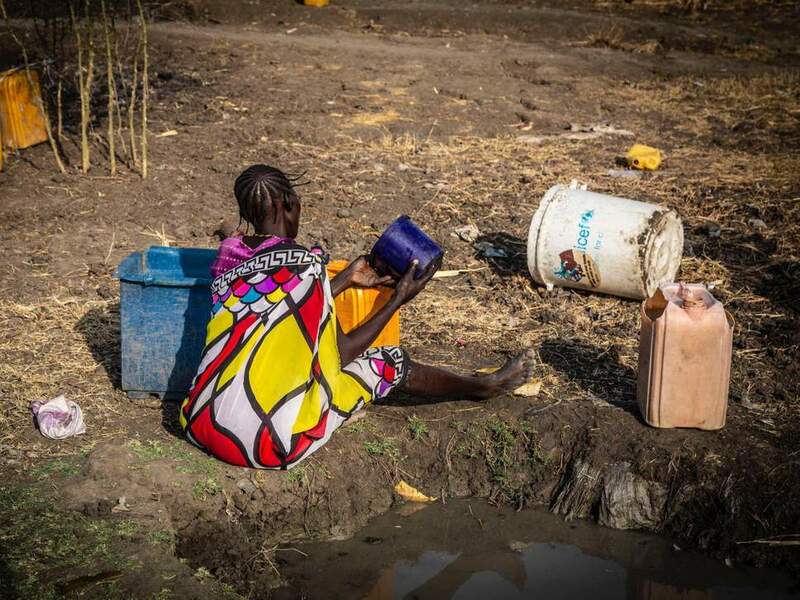 Most of the boreholes around her village, which is located about 300km north-east of the capital Juba, have been destroyed in a five-year civil war that ripped apart South Sudan, sparking one of the most severe humanitarian crises in the world. Despite a peace deal signed in September officially ending the conflict, she tells me nothing has been rebuilt and so she is even more desperate this year. With a blind husband, and too many mouths to feed, there is little she can do. “We need water, food, healthcare facilities, just about everything,” Elizabeth tells me from within a mud-packed reed hut that offers little protection from the 45C heat. It should not be overlooked how the Western Christians Missionaries pushed for the split of the Sudan and the independence of South Sudan. Now that the independence is here it seems the same Christian Missionaries ‘forgot all about their creation’.